Post nasal drip or a runny nose is an annoying condition that is caused by allergies, hay fever, colds, flu or other irritants. Post nasal drip is sometimes difficult to treat but some herbal remedies may be extremely useful in treating this condition. Consult your doctor before using any medication, including over-the-counter or herbal remedies. According to the University of Maryland Medical Center, butterbur is an herb that is found in Russia and Europe. In nature, butterbur is a bitter-tasting green plant. The University of Maryland Medical Center reports that butterbur may work as well as some antihistamines in treating allergy symptoms such as post nasal drip. In addition, butterbur has no known side effects as long as pyrrolizidine alkaloids are not included in the formulation. Pyrrolizidine alkaloids may lead to liver damage and should be avoided in herbal remedies. Ginger has anti-inflammatory benefits. To treat post nasal drip, ginger is usually taken as an oral supplement or infused into hot water as a tea. 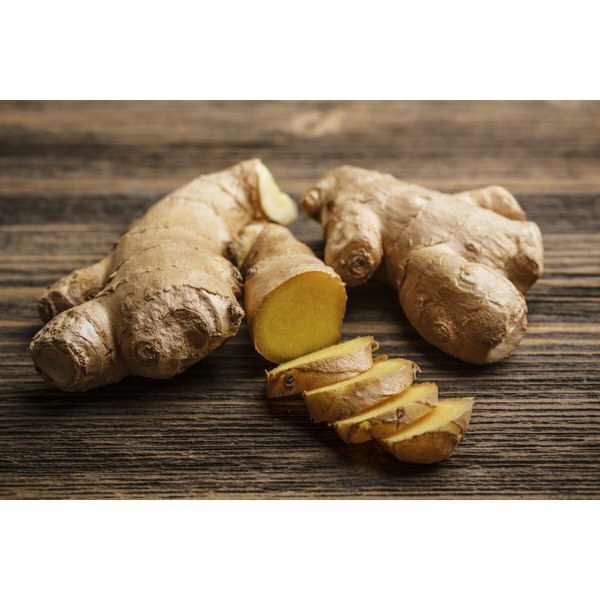 According to Yale University, ginger tea is helpful in treating cold and flu symptoms that lead to post nasal drip. To make ginger tea, grate one teaspoon of fresh ginger root directly into hot water or black or green tea. Allow the tea to steep for a few minutes before drinking it. Stinging nettle may be useful in treating hay fever symptoms that lead to post nasal drip. According to the University of Maryland Medical System, stinging nettle helps decrease the sneezing and nasal itching that cause post nasal drip. Stinging nettle helps lower histamine levels produced in the body as a result of allergens. Take a freeze-dried preparation of the herb before the symptoms begin.